Thrilling final minutes at Old Trafford as Ole Gunnar Solskjaer’s Manchester United rescued a point against Burnley, Pogba and Lindelof saved the night. Just today we were talking about the many similarities that Ole Gunnar Solskjaer’s spell with Manchester United is having with Zinedine Zidane’s time at Real Madrid and he comes to save a result with a struck of good fortune. The French manager was always described as one of the luckiest figures in football history, a fortune that the Norwegian boss has proved that he also possesses. This Tuesday at Old Trafford, the Red Devils were going to play an apparently easy match against Burnley but the outcome was way more suffered than anyone expected. Sean Dyche’s squad got the advantage during the second half through Ashley Barnes after Andreas Pereira made a terrible mistake by losing a ball in a very sensitive area on the pitch, the Burnley striker didn’t disappoint his teammates and scored the first goal of the match early in the second half after a very disputed first period between both squads. Manchester United really struggled to get goal throughout the game, they even fell behind by two goals in the final ten minutes after a Chris Wood header gave Burnley the second goal of the evening. Every single Red Devils’ fan was silenced after this moment, but they immediately started supporting the players who never surrendered. 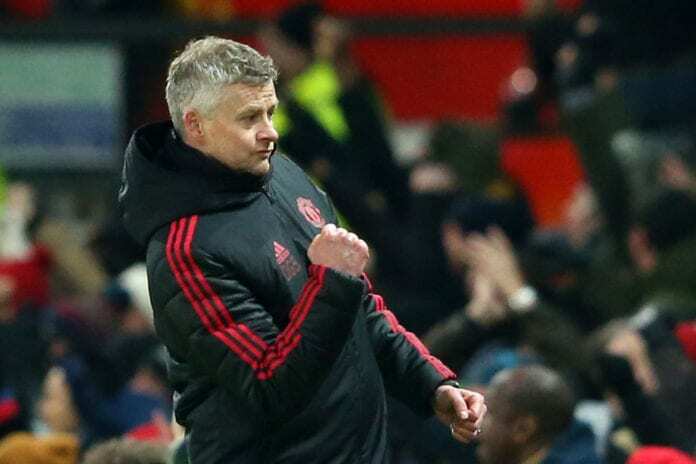 You could see a very nervous Ole Gunnar Solskjaer who was biting his nails on the sidelines, he was asking his players to not give up and search for the goal that would bring them enough confidence to get that result that could save the unbeaten run. The first key moment finally came on the ’87 minute as Jesse Lingard was knocked down inside the box and a penalty was awarded for United, Paul Pogba scored the first for the Red Devils with a shot directed at the goalkeeper’s top right corner. This response was the one that prompted heart-stopping final minutes at Old Trafford, that nearly brought the house down as the fans never gave up on their quest for that equalizer. In the very final moments, Lingard himself served an assist to Alexis Sanchez’s head for a proper connection that goalkeeper Heaton rejected but left the loose ball to David Lindelof’s strike with a very small angle. Manchester United had done it, but Ole Gunnar Solskjaer didn’t seem happy with the result because he clearly felt that the Red Devils should’ve won that match. The manager was a roller coaster of emotions during the press conference, he wasn’t happy with the team because they didn’t win the game but he was thrilled by their fighting spirit that was able to last until the very last minute of the match. The boss refused to blame anybody for the goals the squad received, he preferred to value the positive aspects of the result. “On the way up here, I was stopped so many times by the staff, so many people saying: ‘Great spirit, fighting spirit, and the way they came back was fantastic’,” he told a news conference via Four Four Two. Another sterling defensive performance from @VLindelof and he capped it with a goal! What do you think about Ole Gunnar Solskjaer’s luck with Manchester United against Burnley? Please share your opinion in the comment section down below.